If you are after a small , secure, quiet, non-comercial and very friendly site: Yr Helyg - The Willows should be your choice. 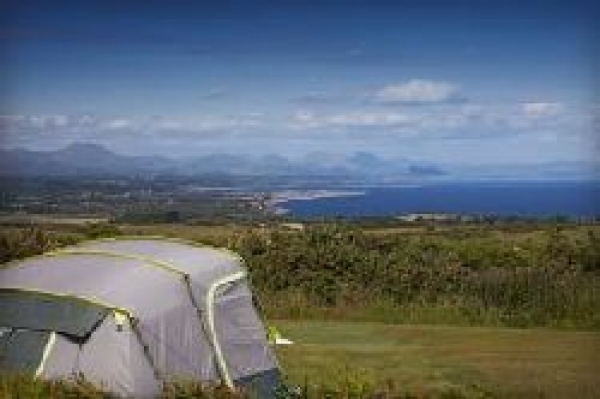 Situated in an area widely considered as one of the most beautiful in Wales, its' location is secluded enough to offer complete escapism from every day life and yet only 5 mins drive and you will arrive at the beautiful town and beach of Abersoch, 10 minutes or so drive to 15 other beaches. The owners offer the friendliest and highest quality of customer service. They will certainly aim to ensure your stay with them is enjoyable, comfortable and relaxing. As they live on site they are available and more than happy to attend to your needs. The views from the site are breathtaking. Near Abersoch - a sandy composition 1.7 miles away. Near - a sandy composition 2.5 miles away. Near Abersoch - a sandy composition 3.1 miles away. Near Abersoch - a sandy and pebble composition 3.6 miles away. the head of the beach is comprised mainly of pebbles though good large areas of sand appear as the tide recedes.